It doesn’t take 15 years of playing live to tell you that things tend to get loud on stage. 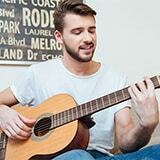 The more aggressive the musical genre, the more at risk you are at developing tinnitus or hearing loss. It doesn’t happen to everyone but that doesn’t mean it’s not a possibility. While earplugs might seem like something for the elderly, it’s important for a professional musician to understand their importance. If you look closely at most concerts these days, you’ll often see lead guitarists, vocalists and drummers wearing ear plugs. So, why shouldn’t you protect yourself like the rest of the pros? Professionals deserve the best and they need the best equipment. Here are my top picks in musicians' earplugs. These earplugs are rated for high protection. They are engineered with layers of special filters which help reduce the volume in order to prevent hearing loss from constant or long-term exposure to dangerous decibel levels that are common during live performances. They’re also made for musicians first and foremost. While lowering the volume they also use filters to ensure that the sound quality is not lost along the way. The level of comfort is quite good and you also get three exchangeable acoustic filters. This extends the amount of time you can get full use of the Alpine MusicSafe Pro. 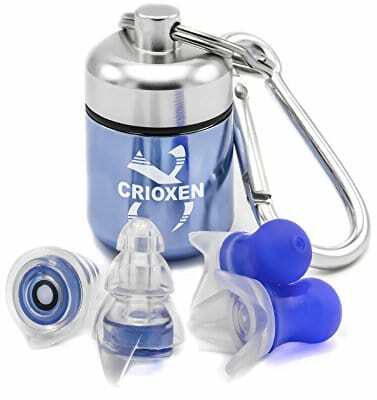 If you’re in the business of playing extremely loud you’ll enjoy this pair of earplugs from Crioxen. They can reduce the decibel levels by up to 25dB, which is a lot even by professional standards. You can get plenty of use out of them for rock, metal, and extreme metal concerts. You can also use them on the airplane or on an adventurous outdoor trip, wherever noise cancellation is useful. It’s always nice to have a multi-purpose piece of equipment as you never know when you might need it. The sound quality is not the greatest. However, considering that these are designed for extreme situations, you won’t lose too much while wearing them. 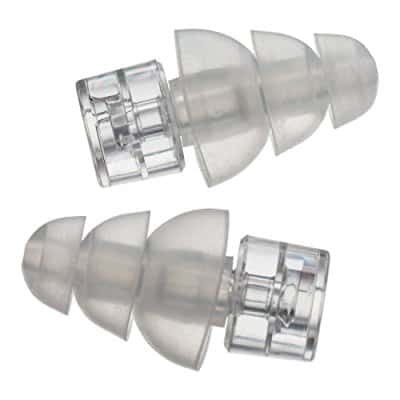 This set is a perfect example of earplugs designed for indoor and outdoor performances. They have superior sound quality retention which makes them great for live performers and DJs mixing in packed clubs. They also come with a good sealing mechanism to cover the ear and stay in place over a long period of time. This also prevents them from falling out if you dance or move a lot, and makes them one of the best concert earplugs. You can also choose between medium, high, and maximum protection depending on the genre or power of the stage equipment. You don’t have to worry about storage either as they come with an aluminum case for maximum protection. These aren’t your traditional foam earplugs. The attenuation filters used in the HearSafe Ear Plugs do a great job of avoiding distortion and muffling the sound of guitars, drums, voice, and any other instrument you hear on stage. The triple flange design is used in combination with the conical shape. This makes for a secure fit inside the ear canal and reduces the chance of soreness after using them for multiple hours at a time. The material is hypoallergenic and because of the design, the HearSafe Ear Plugs can be used by a wide range of users. That means you won’t have to measure them to figure out if they fit or not. The ER20XS fits many users. This is partly because you get three pairs of ear plugs that are different in size but follow the same 3-flange design. 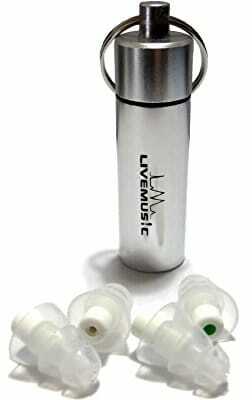 These ear plugs enjoy popularity among musicians as they can lower the decibel levels by up to 20dB without losing sound quality. They still offer a good balance between low, mid, and high frequencies. The ergonomic design is good but some professionals seem to think that the ER20XS can create a bit of unwanted pressure. Regardless, this is a matter of preference or opinion. You also get accessories such as a carry case, neck cord, and interchangeable eartips and foam tips if you’re not satisfied with the silicone material. Eargasm’s High Fidelity Earplugs are made primarily for musicians and concert-goers. Eargasm sells these in packs of two pairs. The pairs are of different sizes to give the users a better fit. 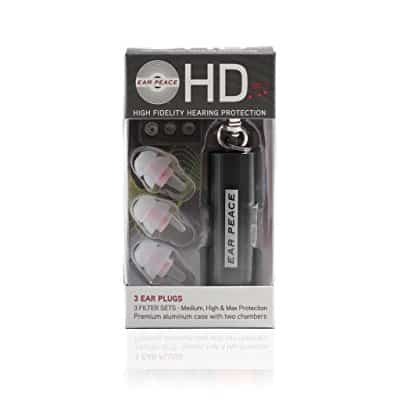 The High Fidelity Earplugs are made of non-toxic and hypoallergenic silicone. The plugs are colorless and the standard three-membrane construction has a pull tab attached to the outer membrane. They are made for users with standard and large-sized ears (Eargasm has a special model for those with small ears). The plugs are soft, comfortable, and easy to keep on over longer periods of time. 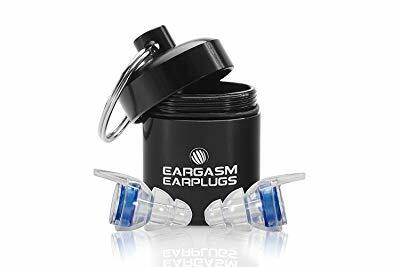 The earplugs come packed in an aluminum case which is sealed with waterproof rubber and has an anti-stick interior. The official NRR rating for the Eargasm High Fidelity Earplugs is 16dB. These are definitely recommendable for serious on-stage use. The Touring Series Earplugs are an entry level solution from Fender. These are among my favorite affordable earplugs. The plugs are made of quality, latex-free silicone. They feature the classic three-membrane construction, and can be pulled apart for washing. The NRR rating for these plugs is 12dB. Though not impressive, it is more than enough to keep you protected if you are in the audience. As for professional use, these might be slightly out of their league on super-loud stages. Fender’s Touring Plugs are made in the United States and come with a nicely designed carrying case with Fender logo on the top. There’s a difference between earplugs for musicians and earplugs for the audience. Professional earplugs are first of all comfortable. They are made so that the musician can wear them day after day while on tour. Consumer-grade earplugs reduce the volume but they are never comfortable enough to wear for more than a couple of hours. They often leave you with sore ears. If you are to pick something, make sure you to get a pair you can wear for a long time. It may be tempting to get cheap consumer-grade earplugs that reduce the decibel levels more but your ears won’t thank you for the choice. When you’re performing live your whole body is trembling. The sound is loud, the vibrations are intense, and the atmosphere gives you a jolt of energy and adrenaline. Professional earplugs, while they do lower the volume, they don’t really change the sound quality. Not all of them anyway. It’s important that you focus on getting a pair that doesn’t alter the quality at all if possible. With the volume lowered and the quality untouched, you’ll actually be able to better distinguish the instruments, riffs, and certain tonalities that your band is playing around with. If you’ve been a professional musician for some time then you already know the importance of sound balance and volume balance during live performances. However, you can’t always achieve that just by tinkering at the mixing table. Some of the best earplugs for musicians are designed to reduce the sound level by at least 15dB. That’s a significant drop from say 120dB that you would get at a rock concert. It’s also not low enough to ruin the sound. If you want to pursuit a long-term career, you should know that safe dB levels are usually below 85dB. Long-term exposure to absurd sound pressure levels during live gigs and recording sessions will only serve to mess up your auditory senses in the long run. There are several types of earplugs for musicians. These include regular musicians' earplugs, custom-made earplugs, in-ear monitors, electronic earplugs, and filtered earplugs. Here are some of the main characteristics of each type. Musicians' earplugs are the most widely used type of earplugs. The best musicians' earplugs are made to dampen the volume of the sound across the spectrum. They are most commonly made of silicone and can have varying levels of NRR rating. Custom-made earplugs are an expensive alternative to musician’s earplugs and are made to order. They are usually made of high-grade vinyl or silicone. It is not uncommon for custom-made plugs to have adjustable attenuation levels. In-ear monitors are, basically, headsets which perform a double duty – they’re headphones and earplugs. 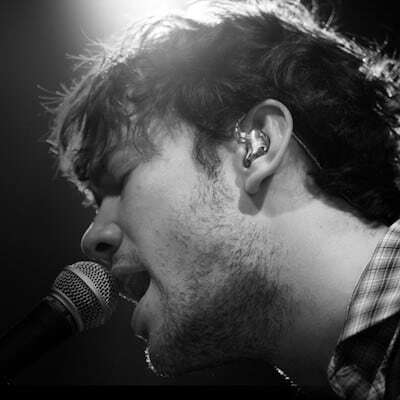 Musicians who opt for in-ear monitors often have custom-made earpieces. Passive electronic earplugs reduce all outside sounds, both quiet and loud, for the same number of decibels. Some active models, on the other hand, can be adjusted to only attenuate the sounds above a certain number of decibels. Filtered earplugs don’t use batteries, but still provide similar benefits as their electronic siblings. They rely on several different mechanical methods to attenuate sound. Most commonly, they transform high decibel noises into heat through compression acceleration. Over years and decades of constant exposure to super-high decibels, musicians run a high risk of damaging or losing their hearing. The most common problems include noise-induced hearing loss and tinnitus. Here’s a word or two about them. Noise-induced hearing loss (NIHL) can manifest itself in several ways. A person might lose perception of a certain range of frequencies, become too sensitive to sound, develop ringing in their ears, or, in extreme cases, completely lose their hearing. NIHL can develop and progress over time (if you are frequently exposed to loud noise), or it can happen suddenly (if you are exposed to an extremely loud impulse noise). Tinnitus, on the other hand, is a symptom. It is hearing of a non-existent sound. The usual forms of tinnitus include ringing, hisses, clicking, or roaring in the ear. Some people experience it as a high-pitch noise, while others hear a low-pitch noise. Other than loud music and noise, ear infections, emotional stress, brain tumors, and other medical conditions can cause tinnitus. The EPA requires all hearing protection products sold in the United States, musician earplugs included, to carry noise reduction rating. This rating is an estimate of how much noise the particular product reduces. It is expressed in decibels (dB) and is measured in ideal conditions. However, the Occupational Safety and Health Administration (OSHA) has developed one of two derating formulas which are used to adjust the NRR rating to real world conditions. Their formula first deducts seven decibels from the NRR rating and then divides the remainder by two. For example, if your earplugs have an NRR rating of 25dB, their OSHA-adjusted rating would be 9db. The NIOSH result would be 3.5dB. If you’re young you’re probably still too brave or too shy to wear proper ear protection during live performances. With that being said, if you get a professional set of ear plugs you’ll only improve your stage experience and extend your career by a number of years. Hearing loss and tinnitus are no laughing matters. It’s true that loud noises don’t affect everyone the same way but there’s nothing worse for a musician than to develop a hearing condition. Why not just be better safe than sorry? I like that you say that not only the elderly need ear protection. I feel like everyone living and working around extra loud sounds could use some custom ear plugs. Sometimes I worry that I will lose good hearing just from the noise of the city.